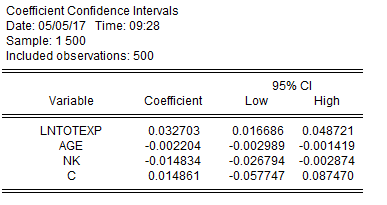 (a)I expect the coefficient is positive and is negative, is negative. For β1 , the expenditures on alcohol should be positively correlated with total household expenditure. 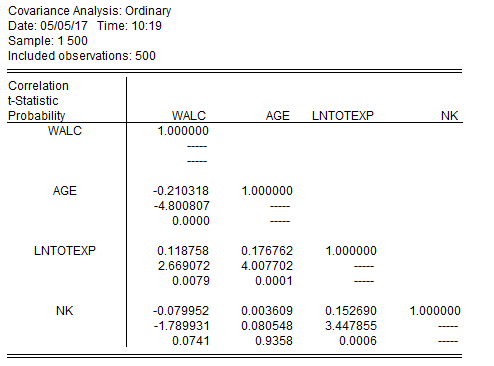 For β2, young people prefer to drink more than older people. For β3, families with more children would be less likely to buy wine because they would raise their children. c) β1=0.033, means that the expenditures on alcohol is positively correlated with total household expenditure. An increase of one percent of the total household expenditure will increase alcohol expenditure by about 3 percent. β2=-0.002which means that the age of household head is negatively correlated with total household expenditure. An increase of one age of household head will decrease alcohol expenditure by about 0.2 percent. 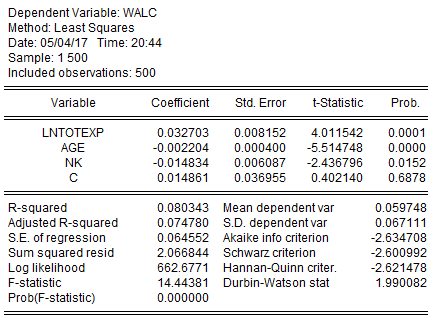 β3=-0.015which means that number of children is negatively correlated with total household expenditure. Adding a child to the family will decrease alcohol expenditure by about 1.5 percent. 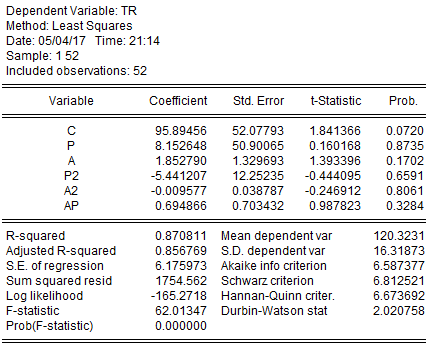 All of variables make sense because those p values is small. 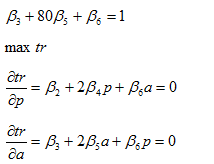 The value of p is 0.34, accept the assumption of H0, walc and nk are independent of each other. One reason for this maybe the number of children in the sample is only one or two. alcohol is a luxury good. 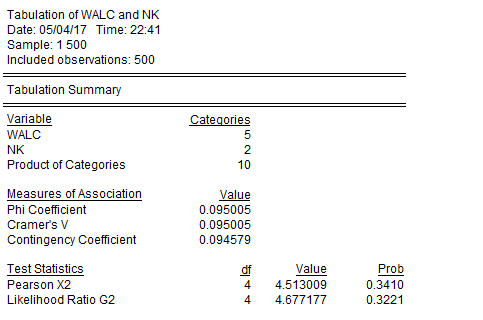 (g) I might exclude variable nk from the equation, because the p value of nk is 0.015, higher than 0.01 and P values for other variables. (b) The squared term for advertising is capturing nonlinear relationship such as U curve between total revenue and advertising expenditure. I expect the sign of β3 is positive, the sign of β5 is negative, the interaction term capturing the impact of price on total revenue is affected by advertising and impact of advertising on total revenue is affected by price. 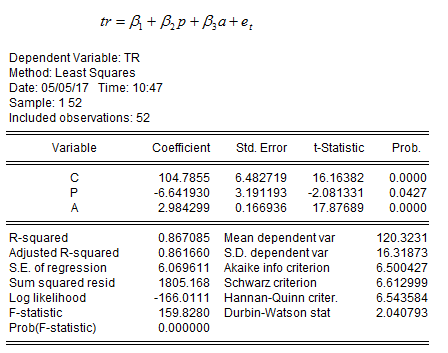 The R- squared of fit of the model is 87.1%, The fitting effect is good in a economic, but all p values of variables is too large, the model is not significant in a statistical standpoint. The signs match my expectations. (f) if advertising is set at $40,000 and price is set at $2 and total revenue is $175,000.